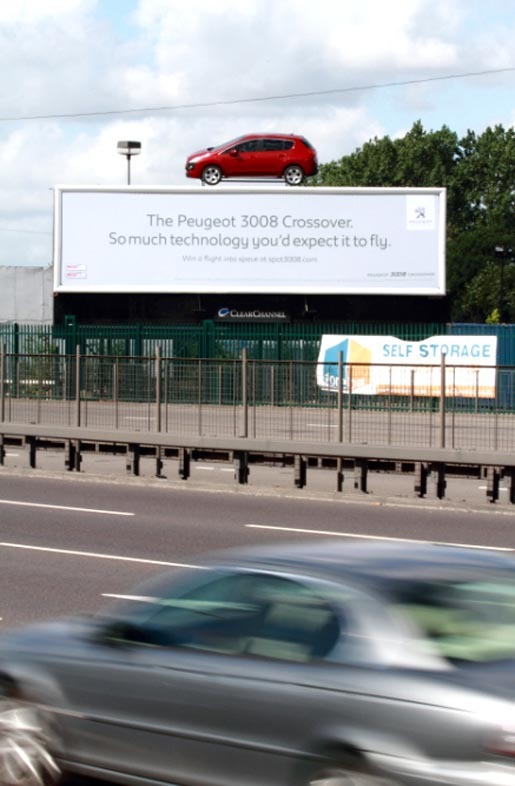 The Peugeot 3008 Crossover is being promoted in the UK as the car with so much technology you would expect it to fly. The campaign is centred around Peugeot cars appearing to have landed on tall buildings, special build poster sites, and on top of buses, backed up with broadcast, press, posters, radio sponsorship, test drives and an online panoramic view of London. 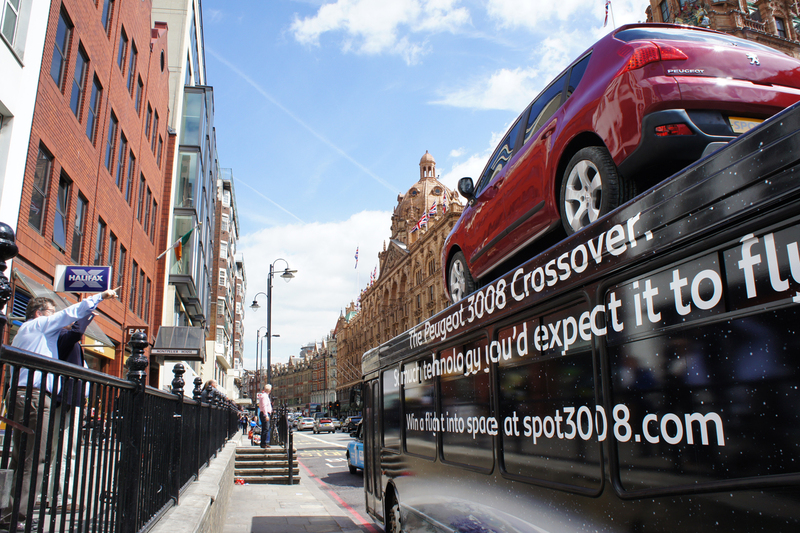 3008s have landed on significant high footfall buildings in London, Birmingham, Manchester, Glasgow and Bristol. 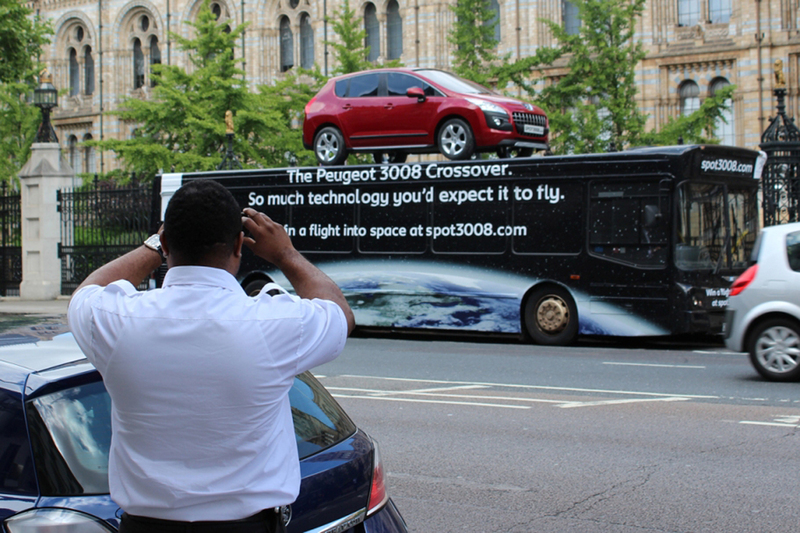 Peugeot 3008 vehicles are on display in Westfield, Bull Ring, Trafford, Silverburn and Cabbot’s Circus shopping malls, with a bus (Peugeot 3008 attached) driving around each venue promoting test drives and competition entries. The campaign includes a digital experience, online at www.spot3008.com, using an 80 giga pixels 360 degree panoramic image of London to hide twenty Peugeot 3008 cars for people to find. At stake is the prize of a totally unique flight into space. 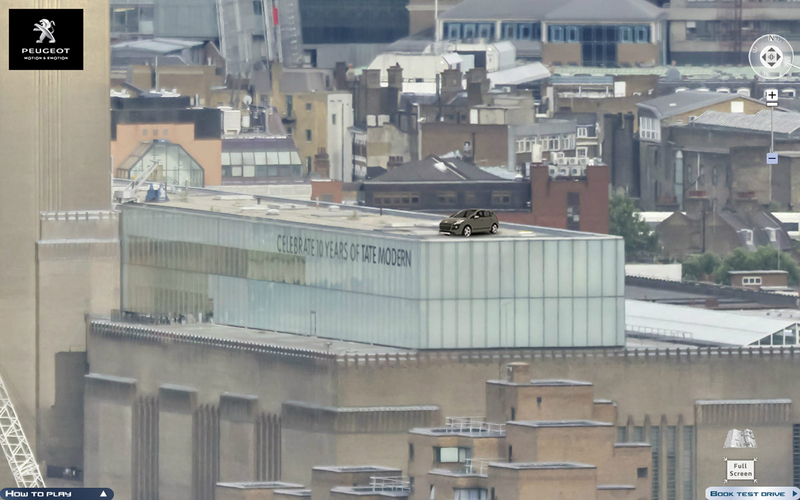 Clues and teasers are being run through the Peugeot 3008 Facebook page, Peugeot 3008 Twitter channel and a specially designed Peugeot 3008 Tumblr site. The Spot the 3008 campaign was developed at Wand Agency, London. 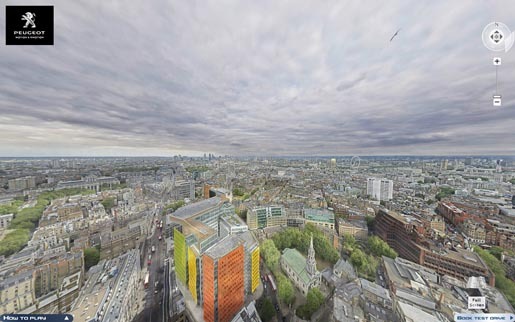 Panoramic photography was by Jeffrey Martin at 360 Cities.